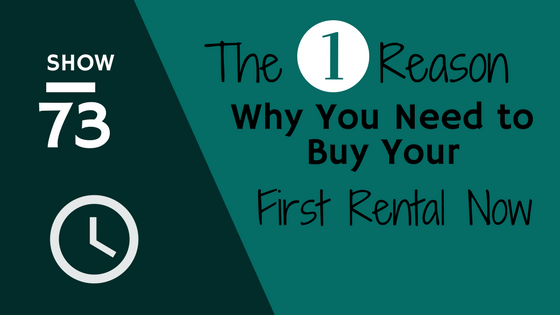 Getting started with rental property is typically a pretty scary step for newbie investors. We all assume the worst and fear the new responsibility of taking on total control of our investments. As a result, we tend to put it off. The truth is, putting off buying that first property is only making your timeline of being able to make your money work for you longer. In today's show, Kirk and Emily share with you how when you buy your first property, the clock starts on the two year timeline of being able to allow your cash flow to help you qualify for future properties. The biggest take away from the show is that getting started now can help that timeline get started and help you get on your way to growing your portfolio.